When the sun is out and shining bright, an ice cream would be a delight and a tasty respite from the scorching heat. But that doesn’t mean you can’t indulge your taste buds with an ice cream or a cool drink and frozen treat after sundown. To make this happen, you need to persuade people to come and buy from you. This is where compelling exterior signage can help. From catching a potential customer’s eye to creating a strong first impression, a successful storefront should convince people to come closer to check out the menu and place their orders. Well-planned business signs can do it all and even more for your business. 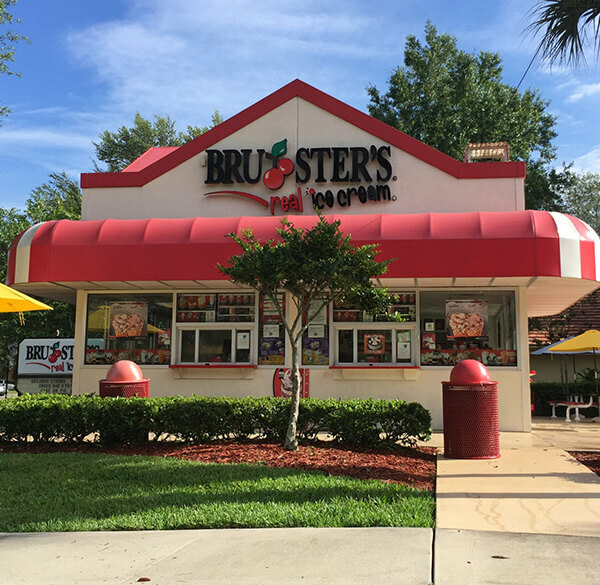 With Bruster’s exterior signage that needed a little bit of TLC (tender loving care), we did a slight tweak to make it more appealing and delicious – just like their ice cream and other treats on their menu, thus helping to increase their store’s traffic and sales. Pennsylvania’s Bridgewater-based Bruce Reed started Bruster’s in 1989. 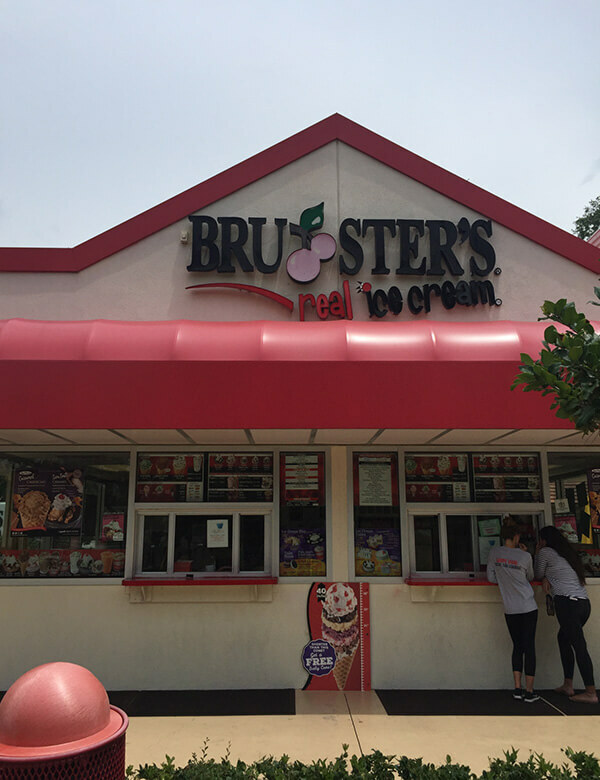 From its delicious, handcrafted ice creams and yogurts to sorbet and Italian ice, Bruster’s serves a wide variety of artisan desserts and premium flavors to satiate the palate of almost everyone. With almost 200 independently owned outposts across 20 states, South Korea and Guyana, this brand has become famous for delivering premium quality products and is known for its ice creams, in particular, its house specialty that’s made with its “home-style mix”, which is created daily to prevent the formation of ice crystals. The store needed its outdoor signs for business to be modified to make it look great and tempting again – just like its ice creams. Bruster’s didn’t want elaborate changes on their exterior signage. Every sign needs some TLC eventually and that’s what they too needed. So, our team took a close look at their company logo and after brainstorming, decided a tweak in their icon’s cherry bundle is all if would take to bring the desired results. The original signage had a cherry bundle in a pale pink color, which wasn’t prominently visible. We gave it a bright red color to make the signage easily recognizable from a distance as well as upfront. 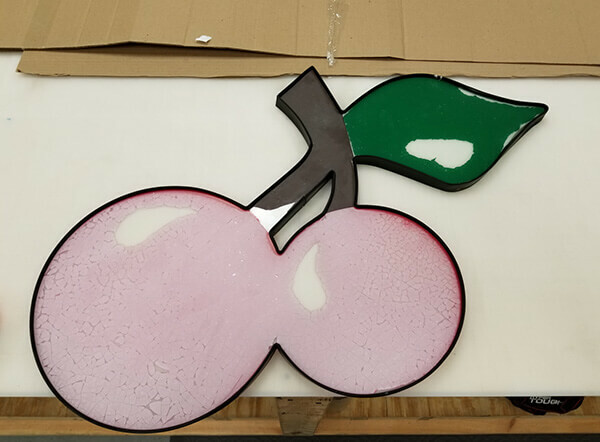 We also played a little with the leaf’s color accompanying the cherry bundle, by making the green color a bit pale to bring out the contrast better. 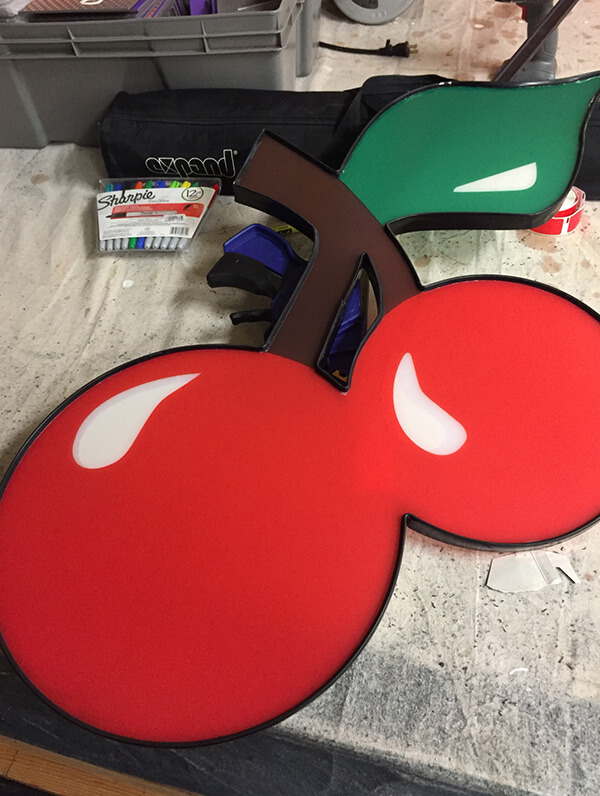 We retained the white patches on the cherries and the leaf as was the case with the original signage. These little tweaks added some much needed wow factor to our client’s outdoor signs for business, which are bold in color and would persuade potential customers to take notice. After the client approved the new exterior signage, it was time to get it installed. After our sign experts fabricated the signage, our professionally qualified installers completed its installation on Bruster’s storefront. Having completed the safe and proper installation of thousands of outdoor signs for businesses, our experienced installers did it once again for Bruster’s to ensure people noted the change and felt invited to step up to the store. And that’s exactly what our client wanted – to bring back the pizzazz that was fizzling of their exterior signage.